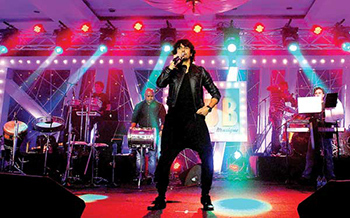 Music is so important to us and most Indians would love to attend musical nights that feature popular singers. Organizing a movie night is quite a tedious task and there are so many things that you will need to take care of. Sometimes such music nights are planned for charity purposes and the money is collected through tickets printed for the purpose. Create a budget: Setting up a musical night can involve a lot of money and it would be important to create a budget before you start the planning. You have to pay for the hall, the singers and the orchestra. Chart out the budget and decide if you are going to organize the function for charitable purpose. In this case, you will also need to print out tickets for the night. Book Musicians and Orchestra: If you want to hold a good musical night, you need good singers and orchestra. Plan well in advance and see to it that you arrange a good set of singers for the show. Good orchestra is also very important for the musical night. You must also check out the technological needs that they would need like a sound system and book one of these. Online invitations: Sending online invitations would be the most economical option when you are planning a musical night. This way, the printing cost can be minimized greatly. You might have to do paper invitations just for the chief guests and VIPS for the night. Use Yoovite.Com to draft out your invitations. You can easily choose a template and enter the important details before sending them to a large group at once. The RSVP option can even let you keep a count of the people expected. Organize sponsors: If you are planning a big musical night, then you must definitely get hold of some good sponsors for the show. According to your budget, you must offer the advertising opportunities. Most of the big businesses set apart some money for charitable donations and they would be more than happy with some advertisement along with this. Most events will have different levels of sponsorship like Silver, Gold, Platinum and Diamond for the musical events. The advertisements would be depending on this.